Living in a fast-paced world has opened doors to more opportunities and challenges that many organizations are struggling to keep up with. Thus, it’s important to develop a standardized method of data gathering to ensure uniformity and efficiency in business operations. The great thing about forms is how versatile they are. They are a reliable tool that can be used for any given purpose. 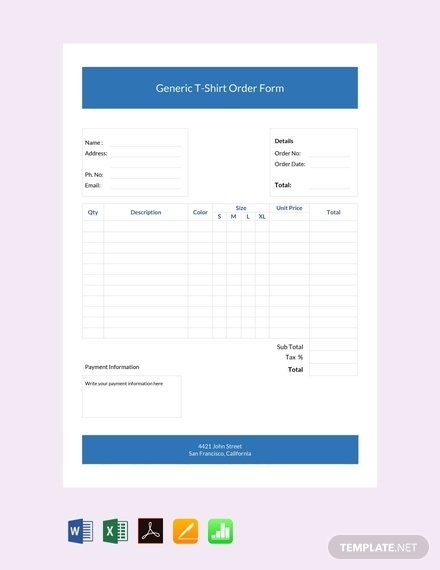 To find out how you can make a form for your personal or business needs, we’ve provided a step-by-step guide along with a few templates to help you out. 1. Heading and Subheadings: The heading is used to indicate the intent of your form. A vacation request form, for example, may be filed by a company employee to request for a leave of absence for a specified period. This should inform users what the form is for and why it is necessary. Subheadings, on the other hand, should indicate the kind of data provided under a particular category. 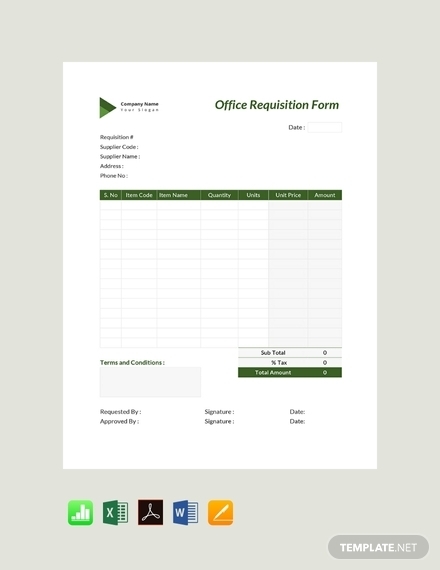 This will help keep sections of your form properly organized for a user’s convenience. 2. Instructions: Even with a heading, some people will still fail to fill out your form correctly. This is why it is necessary to include a clear set of instructions to guide users. They should be brief yet coherent for users to understand. You can write your instructions directly below your heading and subheadings for users to notice. Be sure to include important reminders as well. 4. Labels: Labels are more specific compared to the heading and subheadings of your form. This centers on the specifics that users are requested to write in each input field provided. By identifying what information goes where, users can be more accurate with their responses, offering you valuable data to work with. 5. Lines & Spaces: A great way to develop a logical flow of information is through the strategic application of lines and spaces. These create boundaries in your form to guide users in knowing what goes where. 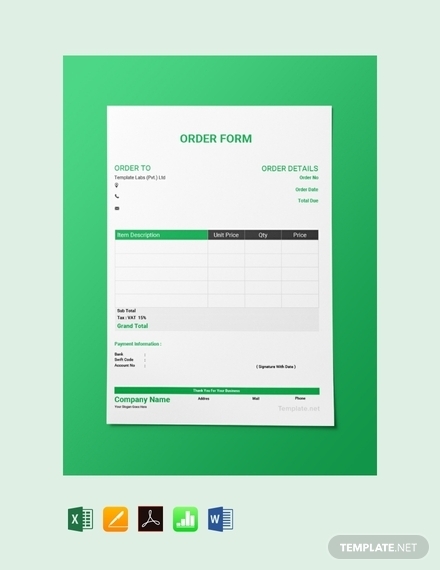 This will also maintain cleanliness and orderliness with your layout, making it easy for users to fill out the form without hesitations. 1. The Numbers app is exclusively available for Apple devices such as Mac computers, MacBooks, iPads, and iPhones. If you have any of these devices available, you can open the application to get started with your form. 2. 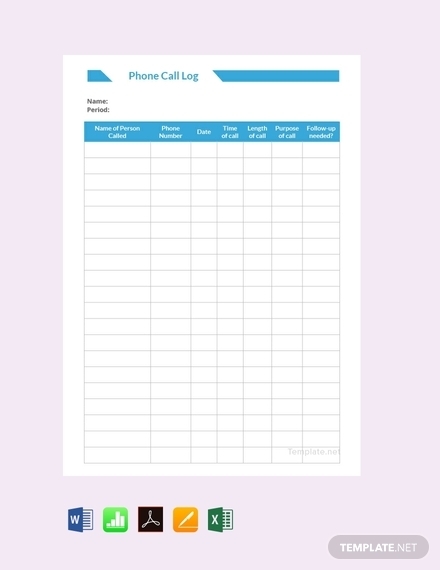 Once opened, you will find various templates available in the app. However, the collection of templates found in the application are pretty limited, so it’s best to download a template from a different source and to open the selected file using the Numbers app.You may also see job application form examples. 3. Now that you have a template to work with, you can simply edit its content to suit your own requirements. 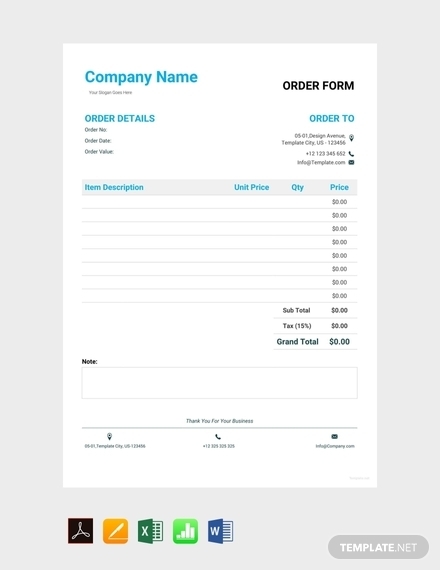 Templates usually come with placeholders containing customizable text fields that you can easily alter. Since the contents of a form may vary depending on its purpose, be sure to apply these changes accordingly. You can also add rows and columns to your form to make room for more entries. You may even add colors to your form to draw attention and please the eyes. Make it direct and concise: Don’t make it difficult for people to fill out your form. Text elements should remain readable at a glance to make it easy for respondents to supply you with the right information. You can use shorter sentences and simple English for a more coherent outcome. Avoid including wordy instructions as well, as this only leaves room for misinterpretations. Ensure professionalism: The tone and structure of your content should not be taken for granted. This is especially important when documents that serve a business or legal purpose, such as performance evaluation forms and loan application forms. Technical terminology may also be included if necessary. This will help you establish credibility for respondents to know that your form must be taken seriously. Provide explanations when necessary: Some forms contain sensitive questions that require detailed responses from users. The data generated from these forms must remain confidential at all costs. Yet, it’s common for respondents to feel a bit hesitant about providing honest answers. This is why it’s important to explain the significance of such questions to your intent as well as how the acquired data will be handled. Observe proper formatting: When it comes to forms, or any business document for that matter, you’ll notice how they follow a standard structure, which begins with a respondent’s personal details down to something more specific. This creates a logical flow of ideas that will help users supply the right data at a faster rate. Use white space: A common way to keep your layout clean and organized is to apply white space around your form. This refers to the spaces between items and entries in your form to make it easy for people to find the information they are looking for. It’s also essential to designate a writing area for respondents to input their entries in complete detail. You may also see report form examples. Forms are used for almost everything these days. They are designed to assist independent researchers, corporate marketers, and government agencies acquire information from a targeted group of respondents in the most time-efficient way possible. From filing taxes to applying for a job position, forms play an essential role in our daily operations. 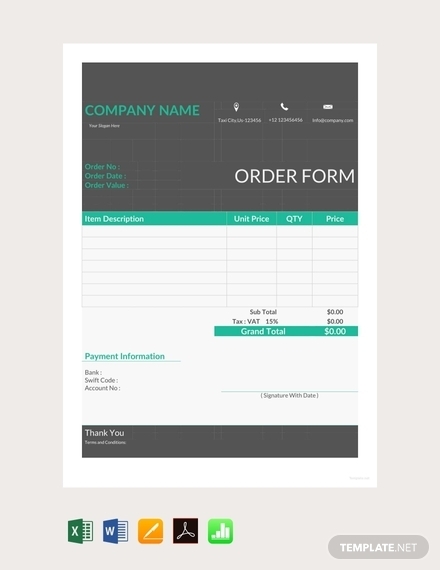 There are two types of forms you’re most likely to encounter: printed forms and online forms. 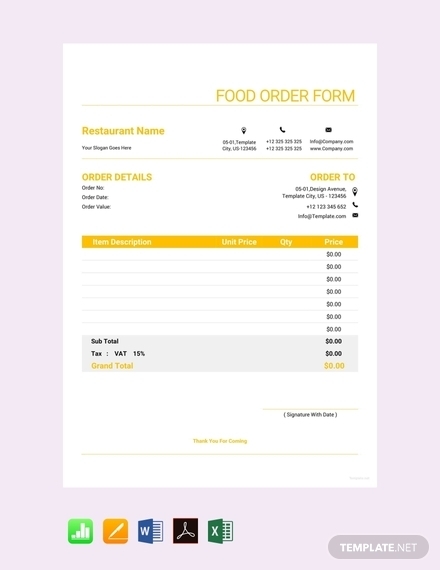 Printed Forms: A printed form is a traditional type of form that requires respondents to fill out the document by hand. You can use a pen, pencil, or marker to do so. But because these forms are handled manually, there are several challenges that users are forced to face. This includes tampering of data or loss. Looking for the a single document in a box of files can also be a burden for most people. It’s especially harder when a duplicate copy of the form had not been made. 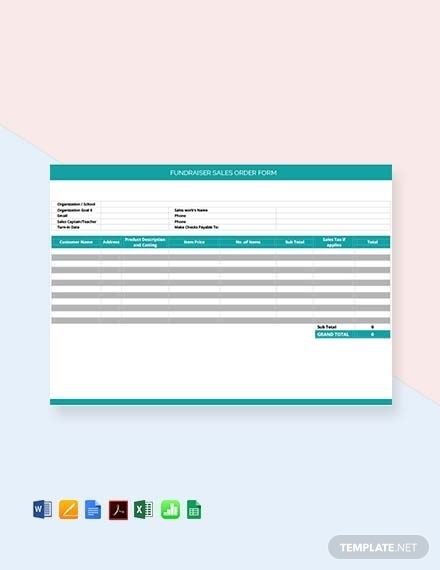 Online Forms: As a digital alternative to a printed form, online forms have enabled students, private firms, and government organizations to collect personal information from specific people through the Internet. One good example would be the survey forms that companies send out to prospective customers in order to gain input from their target buyers. This offers an efficient means of data gathering where respondents can simply access the forms through a link found in a website or sent via email. What are the advantages of using a form? 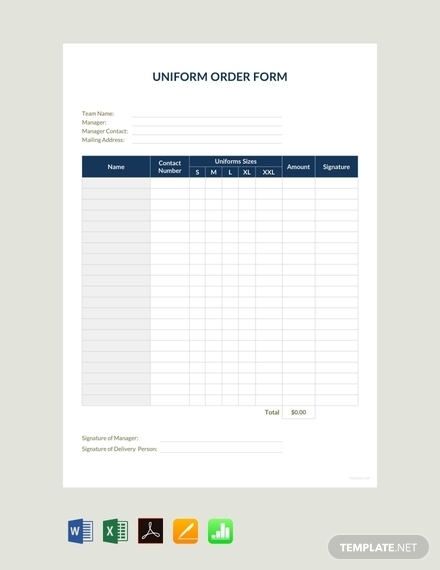 Generally, forms offer you a uniformed approach to data collection. Rather than writing an essay to state your name, age, address, and occupation, you can write less by filling what is asked in the form. You are also told what to supply in each input field, which can be very convenient when processing the information later on. Having a standardized method of gathering data will make it a lot easier for you to examine the answers garnered and draw more accurate conclusions. Now that we live in an age of technological advancement and digital communication, many for-profit and nonprofit organizations have adapted to the paperless system by using online forms to collect information from users and visitors of their websites. An online form can be used for polls and surveys conducted over the Internet where responses generated from users are stored in a database. This allows you to manage and analyze the acquired data more efficiently. 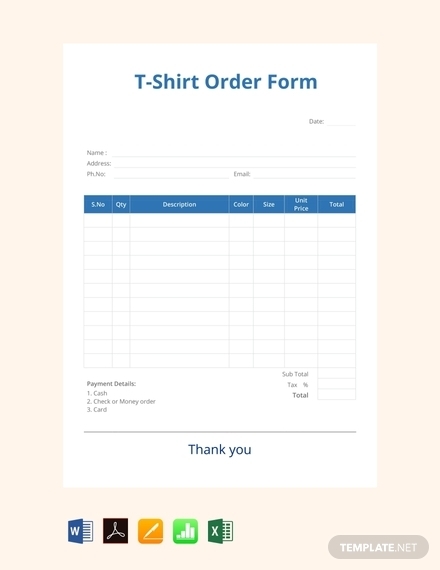 Where can I make a form? Unless you want to do it by hand, there are many word processors that you can install on your computer or find online. 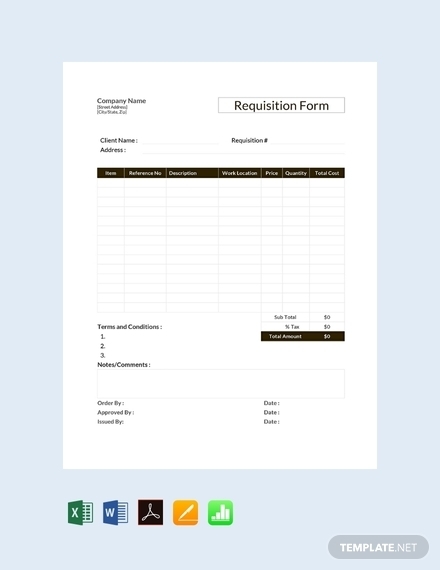 These applications allow you to input the essential elements of your form, share the document to other users through a link, and monitor responses using the tools available in the same app. Forms allow you to collect, monitor, and measure data with the least amount of effort required. 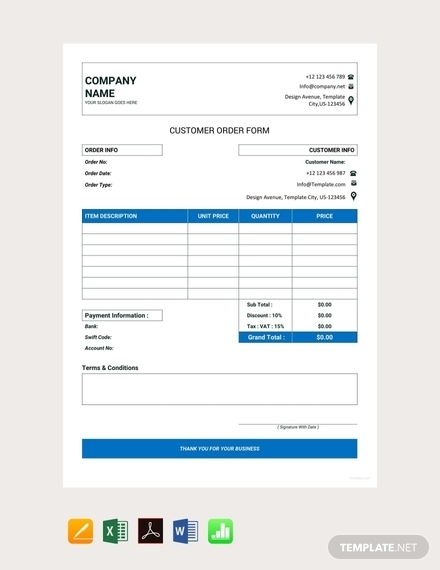 Be it a printed form or an online form, a professionally made form offers many benefits for successful data processing. So if you ever find yourself in need of a form, be sure to refer to the guidelines and templates provided in this article.